Black Rayon Pulley Cord 3-Wire Lamp Cord, 3 conductor 18 gauge, 105*C, 300V, sold by the foot (12 foot minimum) or 100 foot spool. This is high quality, safe lamp cord but is not U.L. listed. 46689F - Black Rayon Pulley Cord 3-Wire Lamp Cord, sold & priced by the foot, (12 foot minimum). 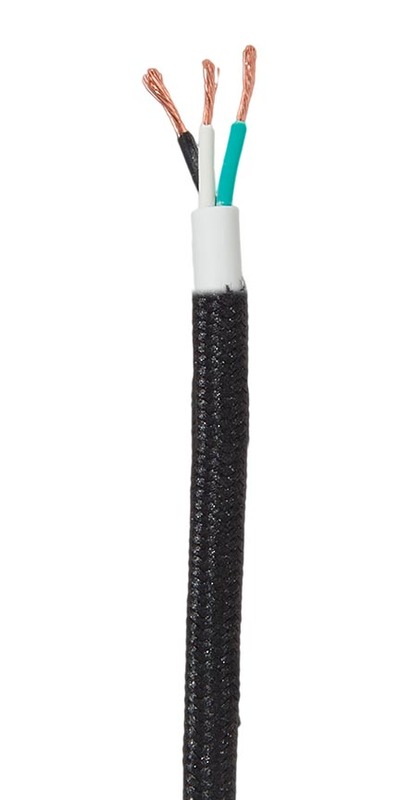 No reviews yet for the Black Rayon Pulley Cord 3-Wire Lamp Cord.